As part of modernization plans, LAX airport in Los Angeles has recently added the Tom Bradley International Terminal (TBIT), featuring an integrated environmental media system (IEMS) focused on creating an unprecedented passenger experience, while providing a new source of non-aeronautical revenue for the airport’s operator Los Angeles World Airports. 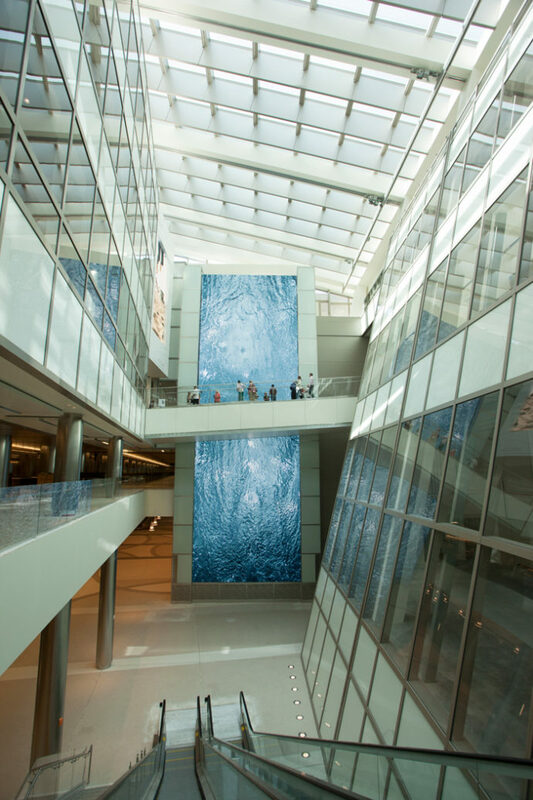 The IEMS at LAX is thought to be the first ever sponsorship program at a US airport and comprises over 12,000 sq ft of LED tiles, hundreds of LCD screens and 60 ultra-high resolution multimedia productions totaling more than four hours of original content. Every aspect of the IEMS has been carefully designed to enhance the passenger experience and is aimed to be much more than just screens on walls; the system is an integral part of the built environment that is in seamless interplay with the interior architecture. 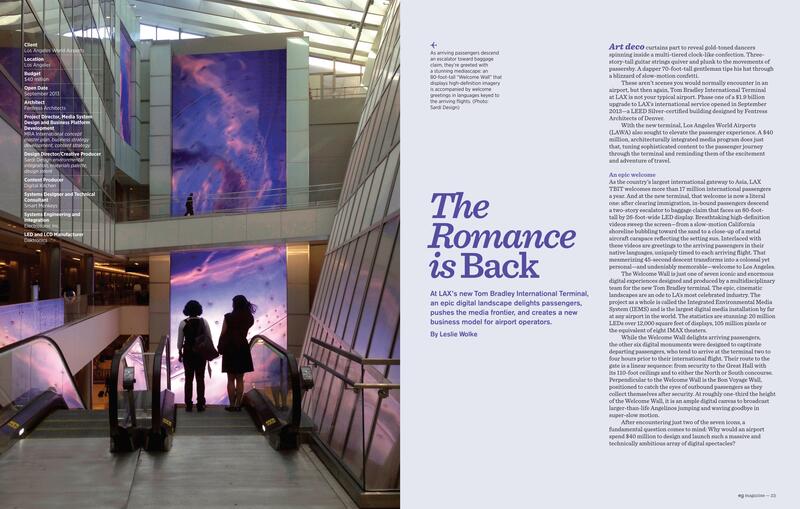 The carefully curated multimedia content aims to highlight Los Angeles’ uniqueness and reinforce passengers’ sense of place, making the TBIT experience even more memorable. As part of modernization plans, LAX airport in Los Angeles has recently added the Tom Bradley International Terminal (TBIT), featuring an integrated environmental media system (IEMS) focused on creating an unprecedented passenger experience, while providing a new source of non-aeronautical revenue for the airport’s operator Los Angeles World Airports. 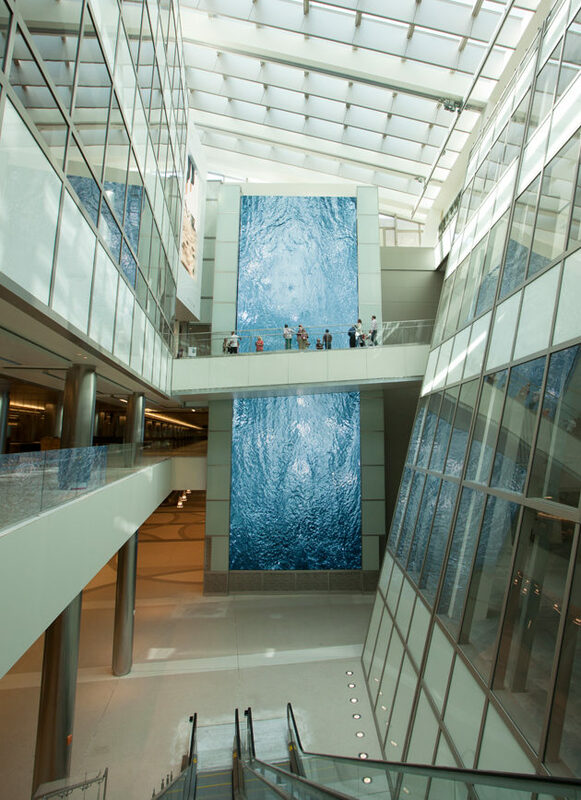 The IEMS at LAX is thought to be the first ever sponsorship program at a US airport and comprises over 12,000 sq ft of LED tiles, hundreds of LCD screens and 60 ultra-high resolution multimedia productions totaling more than four hours of original content. Every aspect of the IEMS has been carefully designed to enhance the passenger experience and is aimed to be much more than just screens on walls; the system is an integral part of the built environment that is in seamless interplay with the interior architecture. The carefully curated multimedia content aims to highlight Los Angeles’ uniqueness and reinforce passengers’ sense of place, making the TBIT experience even more memorable. Marcela Sardi of Sardi Design was initially brought in by Mike Rubin, President of MRA International, in 2010 to help create the vision of the IEMS. Mike had developed a business strategy for the media at the airport that was based on creating a set of features that could be sponsored. Marcela’s role was to conceptualize what these features would be and the technologies that would support them. This summer crews have just completed the first phase of renovations to the Tom Bradley International Terminal at LAX airport in Los Angeles. The totally renovated 850,000 square-foot, three-story terminal – long overdue for a major revamping – now boasts one of the most impressive display technology configurations in the world. Well beyond “digital signage” , the multifaceted installation is the result of collaboration between some of the industry’s top players. 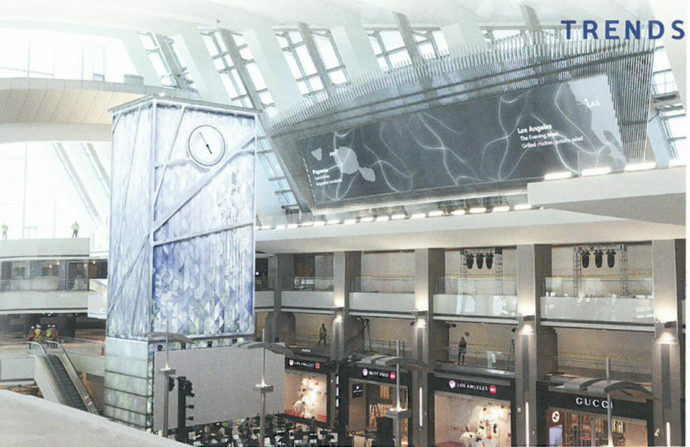 After a soft opening in mid-June this year, where the public was given a brief, one-day glimpse of the new terminal, LAX is preparing for an official opening in August. 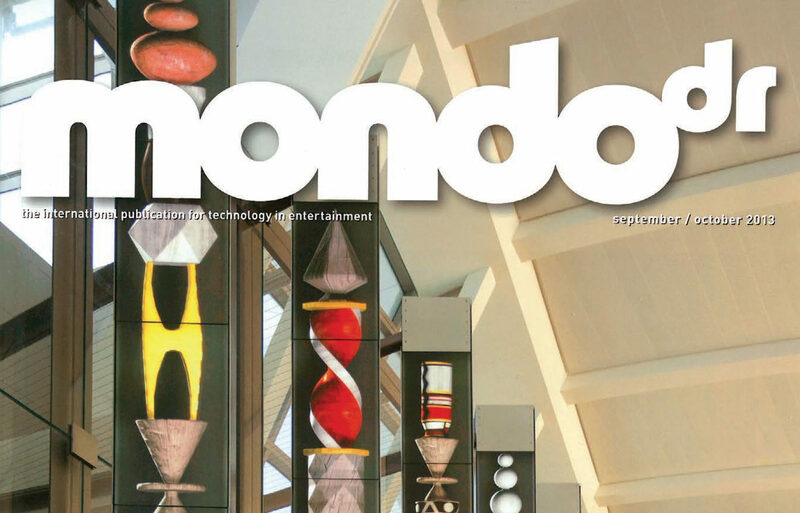 But the key player in content creation for the new digital display systems gave us a preview of the design and engineering behind the scenes…. COPYRIGHT © 2018 MRA. ALL RIGHTS RESERVED.